Catnip Health Benefits, Dosage, Side effects and Warnings. Catnip (Nepeta cataria) also known as catswort, or catmint is an erect perennial plant in the Lamiaceae family that is native to Europe and Asia. Catnip is now widely planted in many parts of the world as garden plant and is a preferred plant by cat lovers. Catnip is a hardy, drought tolerant plant that grows well in sunlight. Catnip plants can grow to almost a meter in height and a meter wide. Catnip flowers has small white or lilac flowers that are dotted with purple spots. 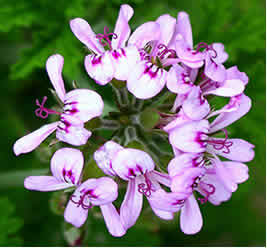 Catnip flower is about 1/2 inch long and have 5 petals united into a 2-lipped tube. The upper lip consists of 2 lobes while the lower lip has 3-lobes which is common in mint plant family. Catnip flowers form a dense whorled cluster at the ends of stems and branches. Catnip leaves are opposite, hairy and triangular in shape. Catnip leaves are pale green in color while the underside is densely covered with hair which appears white. Catnip leaves have pointed tips and serrated edges. When crushed, it gives off a peculiar minty scent. 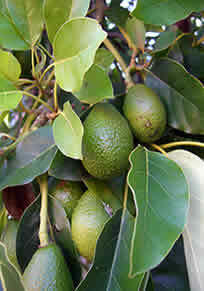 The leaves are attached with slender petioles to the stem that is erect, square, branched and covered with short hairs. Catnip flowers produce pods that have 4 seeds. Catnip seeds are smooth, red brown in color with white spots at both ends and are oval shaped. Catnip is best known for the minty odor emitted by its leaves and stems when they are crushed or wilted. As its name suggests, cats love to nip the plant. Catnip contains a chemical called “nepetalactone” that when ingested or inhaled by cats, it triggers a peculiar response. Although not all cats are sensitive and would exhibit a response but most will do. Young leaves are edible raw. They have an aromatic mint-like flavor eaten in salads. Active constituents that are found in Catnip include the following: terpene, Acetic acid, Alpha-Citral beta- Citral, Butyric acid, Citronella, Dipentene, Geraniol, Limonene, Nepetalactone, Nepetalic acid, Nerol, Tannin and Valeric acid . The combination of these constituents provide the claimed health benefits of Catnip although limited scientific research would support these claims. Catnip is one of the herbal medicines that offer varieties of health benefits especially for digestive disorders and to relieve fevers due to colds and flu. Catnip has been used to calm troubled stomach due to diarrhea, to prevent nausea such as in motion sickness and flatulence. Decoction of catnip leaves are known to induce sweating thereby improving body temperature associated with fever, colds and flu while at the same time offering relief from headache and migraine. Another health benefit that can be derived from catnip is its calming property that is beneficial against nervousness, anxiety, stress, restlessness and sleeplessness (insomnia). Catnip has a soothing effect and has been used to treat headaches, hysteria, and insanity. Catnip oil is used in aroma therapy to promote relaxation and calmness. Decoction of catnip can also offer health benefit for menstruating women, by promoting menstrual flow and relieving stomach cramps. Decoction made as tea from catnip leaves and flower is found to have strong antispasmodic action that can relieve muscle spasm. Poultice from leaves and flowers are used to relieve inflammation associated with arthritis, hemorrhoids and soft tissue inflammation. 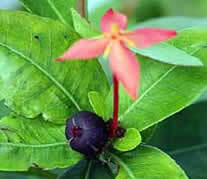 Decoction of leaves and flowers are also known as diuretic that promotes urination. Catnip was a remedy for infantile colic (antispasmodic) and flatulence (carminative). It was also stated to cure hiccups. Catnip poultices were applied to the sore breasts of a nursing mother and to the neck for tonsillitis. Other uses for catnip have been as a cold remedy, for hives, as a diaphoretic (induces sweating), a refrigerant (cools the body), and an anodyne (relieves pain). 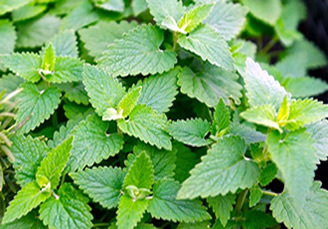 Catnip has also been used as a tonic for whooping cough and measles, yellow fever, scarlet fever, smallpox, and jaundice. 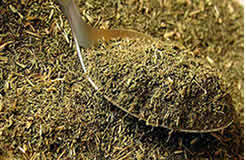 Catnip has been smoked to relieve respiratory ailments such as asthma, cough and bronchitis. Catnip was used as a hallucinogenic drug in place of marijuana or as a filler in marijuana. Catnip produces visual and auditory hallucinations that makes people feel happy, contented, and intoxicated, like marijuana. It has not been used recently because marijuana seems to be more readily available and is more dependable in its effects. Nepeta cataria L. var. 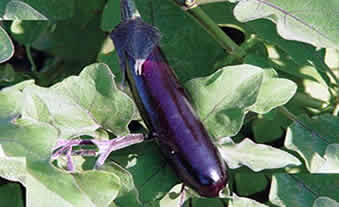 citriodora (Becker) increases penile erection in rats. Because sexual behavior is involved in pleasure, the effect of NC on sexual behavior and penile erection was evaluated in male rats that were acutely fed chow enriched with 10% NC leaves. Further, yawning was monitored because we previously demonstrated that NC modifies dopaminergic-related behaviors and that sexual behavior is closely linked with the dopaminergic system. The general activity and the motor coordination were examined to investigate the possible motor and emotional interferences of the sexual performance. NC treatment increased male rat's penile erection. A slightly facilitation on male rat sexual behavior and a decreased in general activity of NC treated rats were observed. No effects on motor coordination and yawning episodes were detected by the NC treatment.. Source: J Ethnopharmacol. 2011 Oct 11;137(3):1318-22. Phytochemical screening of Nepeta cataria extracts and their in vitro inhibitory effects on free radicals and carbohydrate-metabolising enzymes. This research was performed to investigate in vitro the biological activities of successive as well as 70% ethanol extracts of Nepeta cataria on some biochemical parameters including oxidative markers and carbohydrate-hydrolysing enzyme activities (α-amylase, β-galactosidase and α-glucosidase). Powdered N. cataria and its successive extracts were screened for their phytochemical constituents. Tests for tannins, carbohydrates, glycosides and flavonoids were positive in ethanolic extract, but those for steroids and terpenoids were positive in petroleum ether and chloroform extracts. Also, different extracts were chromatographically investigated. The results obtained demonstrated that different successive extracts of N. cataria exhibited an inhibitory effect on oxidative stress indices and carbohydrate-hydrolysing enzymes. It is observed that 70% ethanol, petroleum ether and chloroform extracts showed, respectively, the most potent inhibitory activities, while ethyl acetate and ethanol successive extracts appeared with moderate or low reducing activities. Source: Nat Prod Res. 2012;26(23):2196-8. Is the extract from the plant catmint (Nepeta cataria) repellent to mosquitoes in Australia? The repellency of Nepeta cataria (catmint or catnip) was tested against Aedes aegypti, Ae. vigilax, Culex annulirostris, and Cx. quinquefasciatus, and compared with a blend of natural plant extracts and N,N-diethyl-3-methylbenzamide (deet) on human skin. The catmint and natural plant extract blend did not provide the same level of protection from biting mosquitoes as deet. There were significant differences in the level of protection provided by catmint to the 4 species of mosquito, with mean protection times ranging from 0 min for Ae. aegypti up to 240 +/- 60 min for Cx. quinquefasciatus. Significant differences in the mean landing rates of the 4 mosquito species on untreated forearms highlighted the difficulties in comparing laboratory tests of repellents between species. Source: J Am Mosq Control Assoc. 2007 Sep;23(3):351-4. Where can I get or buy Catnip? You can also grow your own catnip plant since it can easily grow even in less productive soil. You can get catnip plant from your local nursery or you can cut some stems from a neighbor and plant in your garden. 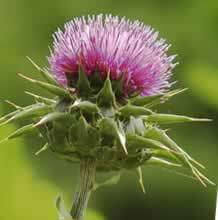 The leaves and flowers can be harvested and processed to herbal medicines. Otherwise the commercial grades such as dried leaves and flowers can be bought in health stores or herbal medicine shops. Dried catnip or in oil extracted form or capsules are likewise available in some health stores. If there is none available nearby, online source such as here may be an alternative. Catnip is also available online in amazon such as the Frontier Catnip Leaf & Flower C/s Certified Organic, there are other brands to select from, be sure to select one from a reputable manufacturer and do follow the suggested dosage. Prepare about a teaspoon of dried Catnip leaves and flowers for every cup of water. Drink 1 cup, twice to three times a day after meals. 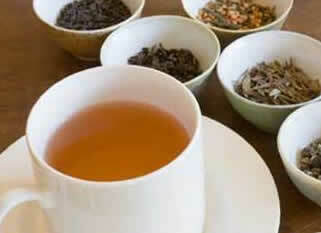 You can add other herbs, honey, milk, coffee and chocolate to improve the taste. Catnip is found to be generally safe for adults. However just like any other medicinal herbs, side effects of over consumption of catnip may include vomiting, headaches, and a general feeling of being sick. Dried catnip leaves have been long believed to produce mild hallucinogenic effect when smoked and is considered unsafe. Catnip can promote menstruation, thus, catnip use is discouraged for women with pelvic inflammatory disease or having heavy menstrual flow problems. Catnip use for young children and breast feeding mothers. There is no sufficient research done to determine side effects of catnip use in very young children and breast feeding mothers. Catnip use is discouraged. Catnip use during pregnancy is unsafe. Catnip can stimulate uterus contractions and can induce abortion or miscarriage.